The Central Bering Sea Fisherman’s Association contracted Dutra to design and construct a small boat harbor on St. Paul Island, located in the Bering Sea off the west coast of Alaska, a region known for rough waters and brutal winters. The harbor supports local fishing and must be able to withstand the area’s harsh environmental conditions. 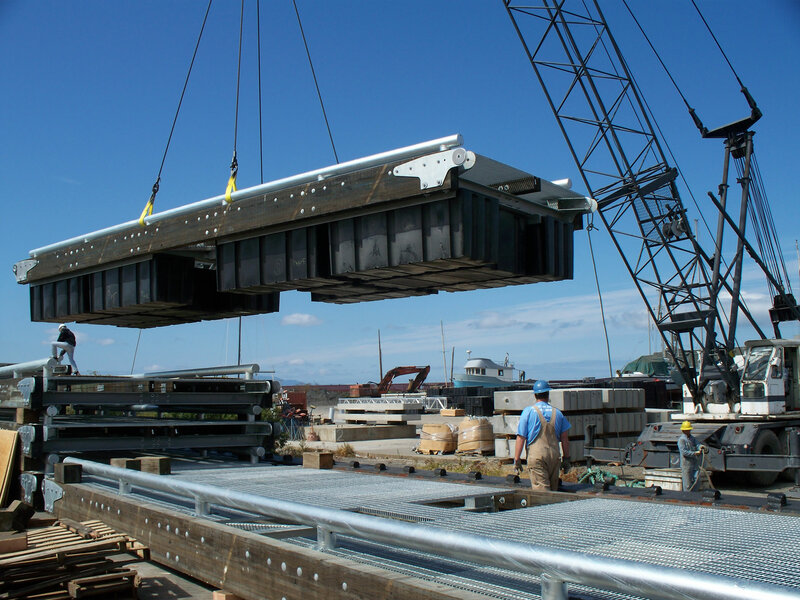 The final design included fabrication and installation of a pre-stressed/precast concrete boat launch ramp, launch floats, and abutments, in addition to installation of gangways, anchor systems and marina floats. The harbor floats must allow for disassembly and upland storage each winter. Dutra worked under a tight schedule to allow for a trial demonstration installation before removing the floats and storing them upland until spring when they were reinstalled again. Design of pre-fabricated small anchor units that were later combined into larger assemblies on site. Pre-stressed concrete elements built specifically for the St. Paul site and transported through rough waters. The float system featured heavy-duty float modules. Demolition and replacement of existing breakwater. Precision rock placement up to half ton.